A hotel has been given a new lease on life in Saranac Lake, but this renovation is so much more than a typical hotel restoration. Back in the 1920s, the legendary Hotel Saranac was an incredible economic and social hub for the Saranac Lake region, and now it is positioned to be once again. 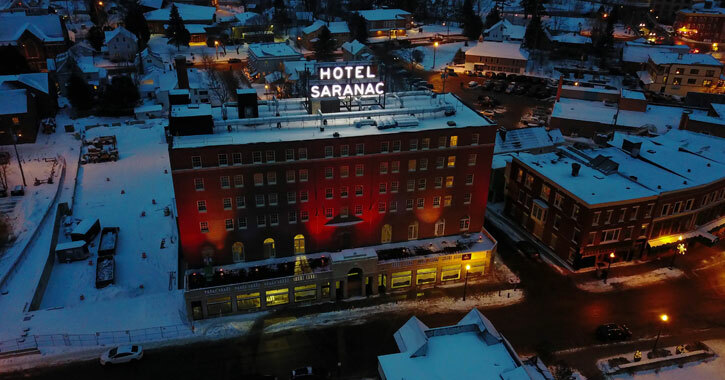 Hotel Saranac reopened this month after undergoing lengthy, multimillion-dollar renovations. The 82 guest rooms have been updated, along with 20 suites in Compass Point, which is an adjacent complex that will open later this year. The grand ballroom and other public spaces have received upgrades as well, as has the famous Great Hall. The Great Hall includes a fireplace setting and bar that embodies an Adirondack theme in conjunction with a speakeasy feel from the 1920s. There’s also a veranda that overlooks Main Street. Guests can expect dark wood furniture, deep blue rugs, crisp white linens, with lots of deep reds and rich oranges in the decor. 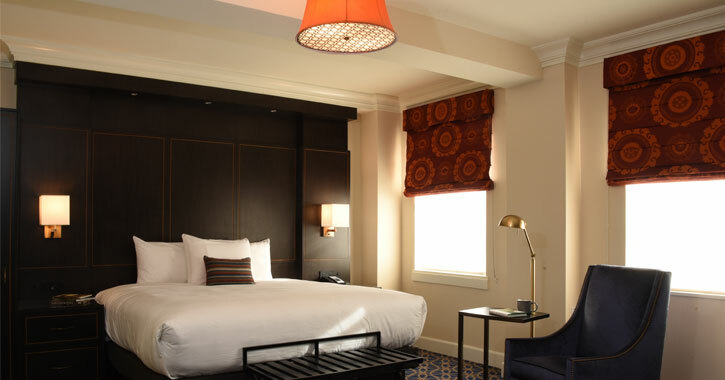 The impressive restoration has successfully paid homage to the sophistication of the Great Gatsbsy-esque era Hotel Saranac derives from, while also keeping to modern times. Hotel Saranac is home to Ampersand Salon and Spa, Campfire Adirondack Grill + Bar, and Academy & Main, which is a retail arcade home to 20 mini boutiques selling a variety of artisan-made goods. The salon and spa uses ingredients like pine, birch, and maple-infused treatments for their services while Campfire Adirondack offers an “Adirondack-to-table locavore menu.” From the spa services to the food and drink served, all products and ingredients are clearly carefully chosen and kept as local as possible with Adirondack undertones. 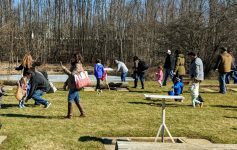 Speaking of the Adirondacks, a slew of hiking and other outdoor recreational opportunities are available minutes from the hotel. This renovation was made possible in part thanks to Governor Andrew Cuomo, who awarded the property a $5 million redevelopment grant. The hotel is now operating under the Curio Collection by Hilton, after having been bought by New Hampshire-based Roedel Companies; the owner/operator of Roedel has family ties to Saranac Lake. Roedel has managed the renovation every step of the way. 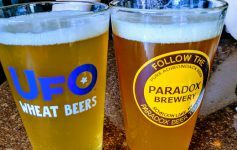 From locals who can enjoy a cocktail in a beautiful atmosphere, to visitors looking to explore all the Adirondacks has to offer, Hotel Saranac will undoubtedly become a focal point of excitement and activity for Saranac Lake.